Audrey Elisabet: An Anatomical A.
Pelvis made by me, reference by Valerie Winslow. I have been working so hard! There is so much to do for school that Marinó and I take shifts, studying and taking care of Ylfa. This semester is not as easy as I expected. But I am really enjoying myself. I have not been this hard at work for a long time and the effort is really paying off. 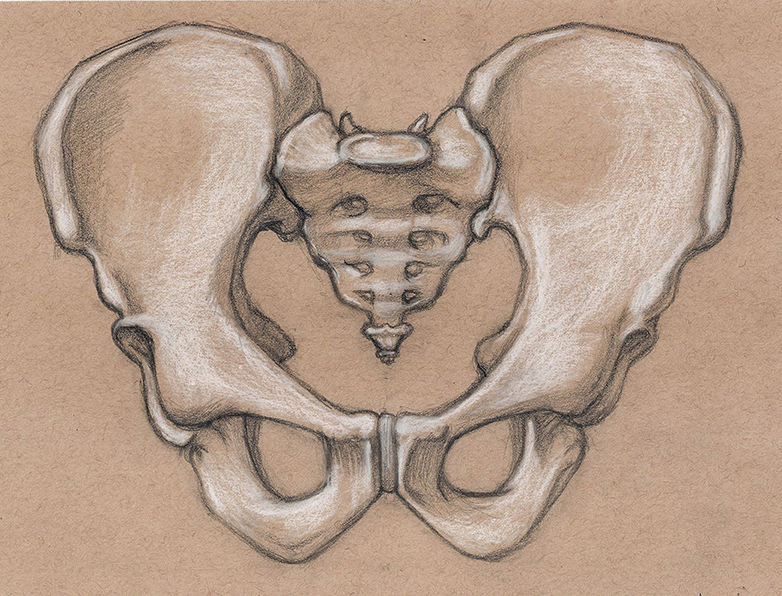 I got two A's this week in my Introduction of Anatomy for my studies of the pelvis and ribcage. Ylfa is also a lot of work these days. We are running around, catching her when she falls of her wobbly, walking feet and grabbing her off the staircase and furniture she is climbing. This girl is very active. We will go to the first class of the Waldorf class I signed us up for, next week. It will be wonderful to take her around other children and see how she will react to the different environment. She will most definitely grow a lot from this new experience. I will share how it went next week.